The sauce, juice and alcohol has spilled all over me and my opal jewellery !! 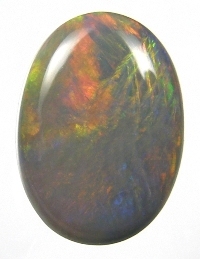 What will happen to my opal ?!? An idea of this experiment came up, thanks to one of our repeat customer, who's requested us to answer her anxiety. 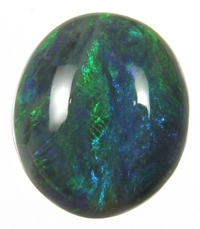 Her point was, that she wasn't confident enough to wear her opal jewellery to a French Restaurant incase all the greesy sauce and other liquids might get spilled on her favorite opal jewellery. 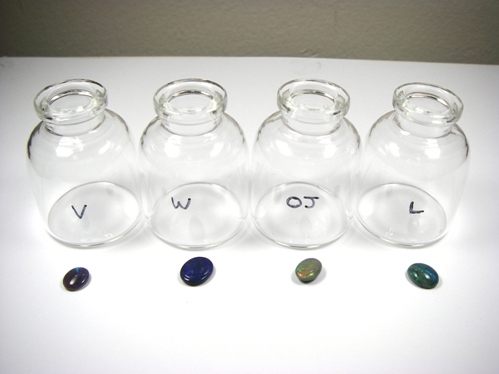 Well, to help her out, we've experimented on these 4 opal loose stones from Lightning Ridge (Black opal field). 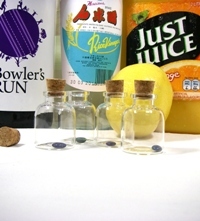 Left to right: Vinegar, Wine, Orange juice and Lemon juice. 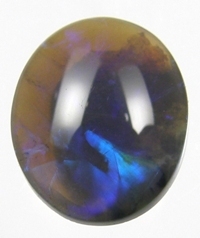 Can food ingredients damaged or effect any way to opals ? 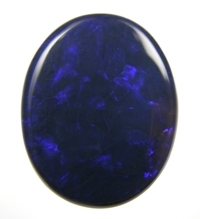 Is opal really a delicate gemstone ? Let's see if there's any difference in opals after our experiment.